Volatility Index is a measure of market's expectation of volatility over the near term. Volatility is often described as the "rate and magnitude of changes in prices" and in finance often referred to as risk. Volatility Index is a measure, of the amount by which an underlying Index is expected to fluctuate, in the near term, (calculated as annualised volatility, denoted in percentage e.g. 20%) based on the order book of the underlying index options. 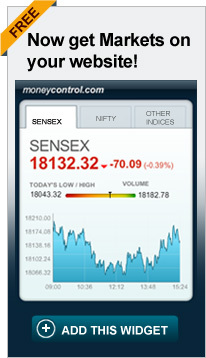 India VIX is a volatility index based on the NIFTY Index Option prices. From the best bid-ask prices of NIFTY Options contracts, a volatility figure (%) is calculated which indicates the expected market volatility over the next 30 calendar days. Time to expiry: The time to expiry is computed in minutes instead of days in order to arrive at a level of precision expected by professional traders. The forward index level: India VIX is computed using out-of-the-money option contracts. Out-of-the-money option contracts are identified using forward index level. The forward index level helps in determining the at-the-money (ATM) strike which in turn helps in selecting the option contracts which shall be used for computing India VIX. The forward index level is taken as the latest available price of NIFTY future contract for the respective expiry month. Bid-Ask Quotes: The strike price of NIFTY option contract available just below the forward index level is taken as the ATM strike. NIFTY option Call contracts with strike price above the ATM strike and NIFTY option Put contracts with strike price below the ATM strike are identified as out-of-the-money options and best bid and ask quotes of such option contracts are used for computation of India VIX. In respect of strikes for which appropriate quotes are not available, values are arrived through interpolation using a statistical method namely "Natural Cubic Spline"
The ongoing earnings season and upcoming F&O expiry are expected to fuel volatility further.